DG Roofing is a Glasgow based roofing and guttering company. We have over 20 years’ experience in dealing with the wide range of properties found in Glasgow. Our knowledge of the area allows us to correctly assess your property's needs and provide the best and most effective service. We believe in prolonging the life of your home and are happy to provide advice for maintaining your property. Inc. flat roof, tiled roof, slate, pointing and chimney stacks. All of the member of the DG Roofing team are qualified tradesmen. We carry ID and registration cards which can be shown on request. 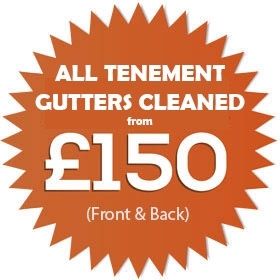 We have hundreds of happy customers throughout Glasgow and the surrounding areas. We take great pride in our work and always look after our customers whether they have been a client for many years or this is the first time we have worked for them. Read our testimonials and find out for yourself what our customers have to say about our quality roofing and guttering workmanship. We offer a discount to OAPs. Please contact us for details.